Adjustable for any hair length and style. Its ultra silent at 65 dB (A) which makes it quieter than its predecessor (SN9200) – yet the air flow rate is much higher (80m³/hr). Patent-pending Rotocord system: The cable will never get tangled. Up to 35% faster. And extremely gentle. 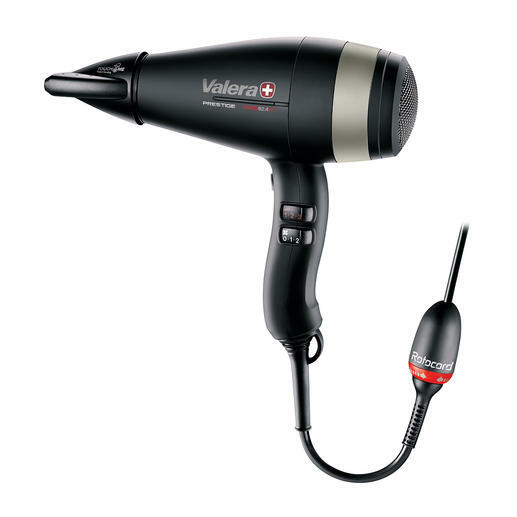 Professional hair stylists are already using this quality Swiss product with its powerful, long-life universal motor. And you too will be impressed by its ionic system: It will dry your hair up to 35% faster and more gently than conventional hair dryers. ­Because the ions split the water drops into micro-fine droplets, whilst the electrically charged particles nourish your hair, stopping it from becoming brittle. For beautiful hair that is shiny, smooth and full of body – right down to the tips. Cool or warm, gentle or powerful – 3 temperature settings and fan speeds, plus a cool air button, provide a total of 6 airflow/temperature combinations. 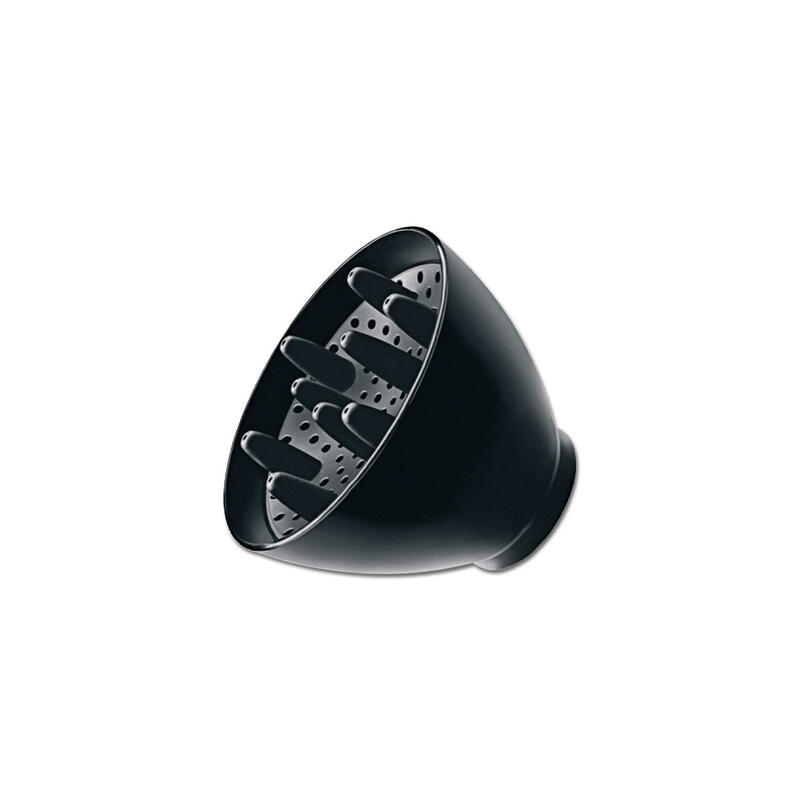 This outstanding hair dryer runs so quietly thanks to the “Smart Airflow Technologyˮ. The optimised air flow reduces frictions and disper­sion and increases the effect of compression. The hair dryer is supplied with 2 narrow nozzles (6cm and 7.5cm/ 2.4"and 3") and a diffusor. The wider one of the two doesn’t get hot which is great for your hands and hair. The casing has a soft touch finish making it excellent to handle. Conventional motors that work with direct current (DC) are usually only expected to last around 1200 hours. Thanks to the alternating current (AC) power supply you can operate this hair dryer for about 2000 hours, which means a 60% longer lifespan . Plus the air flow is greater. This is the reason why these motors are generally used for professional hair dryers. Measures 19 x 22 x 9cm (7.5" x 8.6"x 3.5") (W x H x diameter). Weighs about 560g (1.2 lbs) without the cable.